The Street Medicine Institute is excited to announce the 14th annual International Street Medicine Symposium, held October 4-6, 2018, in Rotterdam, The Netherlands was a great success! As in the last several years, a special pre-symposium Street Medicine 101 workshop was offered on Wednesday, October 3, 2018 for interested participants. The Netherlands Streetdoctors Group (NSG) generously agreed to serve as the local sponsoring organization. We had over 300 registrants from 85 cities in 14 countries on 5 continents attend. We are grateful to all who participated, making it a rich learning experience for all. The International Street Medicine Symposium (ISMS) is the world’s premier educational event dedicated to the health care of rough-sleeper (unsheltered) homeless populations. As always, the ISMS will offer an impressive slate of homeless health care experts from around the globe presenting clinical topics, innovations, research outcomes, and best practices relevant to street medicine through the popular format mix of large-group lectures, small-group workshops, and poster presentations. Clinicians and non-clinicians are welcome to participate; we encourage and celebrate the diversity of professional roles and disciplines represented among participants. We intend to offer continuing medical education credits for eligible clinicians. Highlighting the work of the Netherlands Streetdoctors Group and the City of Rotterdam, the 14thannual International Street Medicine Symposium presents an example of “an upstream approach to street medicine”. Downtown Rotterdam was severely bombed in 1940, creating homelessness among many of its citizens. This experience laid the groundwork for subsequent social policy and public commitment that refuses to allow rough sleeping as an acceptable living condition for its citizens. The Dutch standard is to provide care that is accessible, affordable and of the highest possible quality, and is based on solidarity, including a universal social benefit and medical healthcare insurance system. This system has been able to house and support those in need. Notwithstanding, there has always been a subgroup in the population that is hard to serve or has hidden problems that only become visible after multiple problems have accumulated. As a result, some people continued sleeping rough, in marginalized settings or in emergency and residence shelters. In response to a growing number of homeless and rough-sleeping people in the Netherlands, specific national and local governmental policies and budgets have been introduced to fight homelessness in the last few decades. Since the 1980s, Rotterdam has been providing outreach healthcare services in six shelters and services for homeless people by a passionate group of street nurses and street doctors. These professionals have been pioneers and leaders in “care for the poor and homeless” inspiring many professionals, students, researchers, and policy makers over time. Moreover, actively sharing lessons from the streets, building local networks, connecting with peers in hospitals and mental/addiction clinics, and services for social benefits, debt control, and rehabilitation programs have proven to be key factors to boost community care for those in highest need. The Street Medicine Institute believes that, as a global community dedicated to improving the lives of people sleeping rough, we have much to learn about preventing and ending homelessness from the City of Rotterdam and the Netherlands Streetdoctors Group. As consistently reported by past participants, one of the most valuable experiences of the ISMS is the opportunity to interact with street medicine colleagues from around the world. Again, this year, program activities will incorporate time to reconnect with old friends, make new contacts, and share stories of the triumphs and challenges of this important work. Participants will be inspired and re-energized as they renew a common commitment to improving the lives of their brothers and sisters living on the streets. We are excited to announce that Jeff Olivet will present the Withers Keynote Address at ISMS XIV. More about Mr. Olivet can be found here. Click here for the Final Program Schedule. Back by popular demand, we are pleased to offer this special pre-symposium workshop. This high-yield introductory session is targeted to those individuals and organizations that may be new to Street Medicine or in need of expert guidance to launch or enhance their Street Medicine activities. This workshop will provide an instructive overview of the history, principles, and practice of Street Medicine, followed by breakout sessions with experts in the field for personalized guidance and problem solving. Since capacity for this workshop is limited and high demand is anticipated, participants must register in advance to attend. Registration will open soon! Starting this year, the Street Medicine Institute is excited to offer a 5% discount to members! Membership is free and participants are highly encouraged to take advantage of this discount. Click HERE to become a member of the Street Medicine Institute. The following tiered registration fee structure respects the fact that ISMS participants come from a variety of disciplines with disparate financial resources. It is informed by responses to surveys of prior years’ ISMS participants and is designed to offer significant value relative to other educational conferences or professional meetings of similar scope and quality. If uncertain which tier is most appropriate for you, please contact the organizing committee at [email protected] prior to completing the registration process and submitting any relevant fees. Registration rates for non-members are listed below. All registration fees are listed and payable in US dollars. If you are registering a group of people, each person must be registered individually. Our website offers a Program Membership, through which multiple individuals may be registered and paid for. Refunds of registration fees will only be granted for cancellations made in writing to [email protected] before September 15, 2018; a 10% cancellation charge may apply. All prices are listed at the non-member rate. 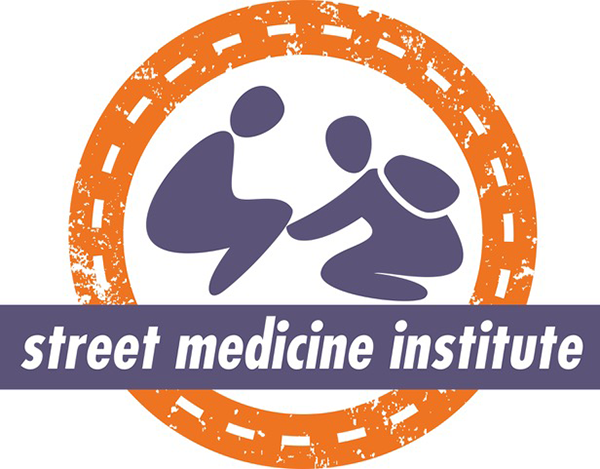 For a 5% discount, click HERE to become a member of the Street Medicine Institute. All ISMS programming on 4-6 October 2018 will take place at the De Doelen International Congress Center located in the heart of Rotterdam within walking distance of many local restaurants, attractions and public transportation access. On Wednesday, October 3, 2018, the Street Medicine 101 Workshop will take place in De Pauluskerk. On Thursday, October 4, 2018 a welcome reception with the mayor of Rotterdam will be held at City Hall. 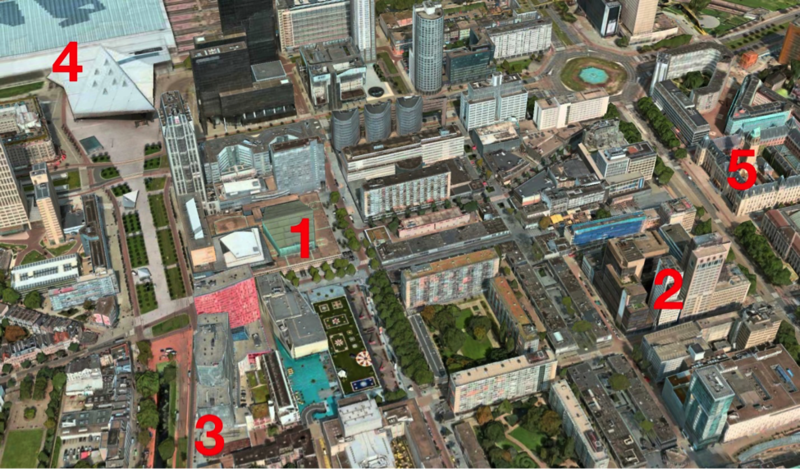 All venues and hotels are located within a few blocks (see photo). We have partnered with The James Hotel within easy walking distance (500m) to the conference venue. We have reserved rooms for ISMS participants for a special discounted rate. Prices listed are included 6% Tax and excluded of 4,5% City Tourist Tax. Rates are listed in Euros. The James Hotel has 144 rooms and is brand new. The James offers a 24/7 food market where you can enjoy a breakfast. See www.thejames.nl for details about the hotel. Booking at the James hotel: rooms starting at € 80,07 per night for a standard double or twin room can be booked through this special link https://jdok.nl/StraardokterJames and code “StraatdoktersJames”. Rotterdam is a young, dynamic metropolis that keeps developing. Sparkling skyscrapers, an impressive port, hip restaurants and food markets, renowned museums, special attractions, and awesome festivals are the direct result of the “can do”mentality of the people of Rotterdam. Rotterdam is considered the most modern city of the Netherlands and was named one of the top 10 places to visit in 2016 by Lonely Planet. It is atypical in its own country, internationally renowned for its passion for innovation and its unpolished charms. Rotterdam citizens do not shy away from experiments. Rather, they are looking for them. Getting down to business and innovating is part of the city's DNA. Full of energy and an urge for innovation, Rotterdam reinvented itself after the bombing in the Second World War. They made a clean break with the past and preferred modern architecture. Light, air and space; it was a ground-breaking idea for its time, leading Rotterdam to become a bubbling metropolis where people from some 170 nationalities live together. The dynamics of Rotterdam ensure that the city lets itself be discovered again and again. Rotterdam embraces the experiment; nearly everything is possible. You are constantly surprised by new initiatives: from trees floating on water to an old swimming pool that has been magically transformed into a laboratory of the future where you can eat oyster mushrooms that have been cultivated on coffee grounds. Museums: Top museums such as Boijmans Van Beuningen, the Kunsthal Rotterdam and the Nederlands Fotomuseum should not be missed. Festivals: Internationally acclaimed festivals such as the swinging Zomercarnaval (Summer Carnival), the North Sea Jazz Festival and the International Film Festival Rotterdam. Shopping: Those who love shopping can also enjoy themselves to their hearts’ content in Rotterdam, where the shops are open seven days a week. They will find a mix of unique shops of local designers and luxury department stores where exclusive brands are sold. On the water: The port city of Rotterdam has lots of amusement and entertainment to offer on and around the water. There are lovely walking and cycling routes along the banks and quays of the river Maas. Take a water taxi, make a harbour tour with Spido, or head into the water on an amphibian bus with Splashtours. Family: Attractions such as Diergaarde Blijdorp (Rotterdam Zoo) and the Euromast tower and the many parks in the city make Rotterdam an attractive city for families. Food: You can choose from Michelin-starred restaurants to street food; from Italian, French and Mediterranean restaurants to African and Caribbean eateries. Nightlife: F or those who wish to go dancing to the beats of a DJ, or want to drink a beer at the bar, Rotterdam has lots to offer. There are glamorous cocktail bars, cozy pubs, trendy clubs, intimate concert venues and much more. Come and experience Rotterdam yourself! With your participation and expertise, we anticipate another outstanding International Street Medicine Symposium this year! We hope to see you in Rotterdam in October so that we can continue to learn from one another and renew our collective commitment to improving the lives of our brothers and sisters living on the streets throughout the world.